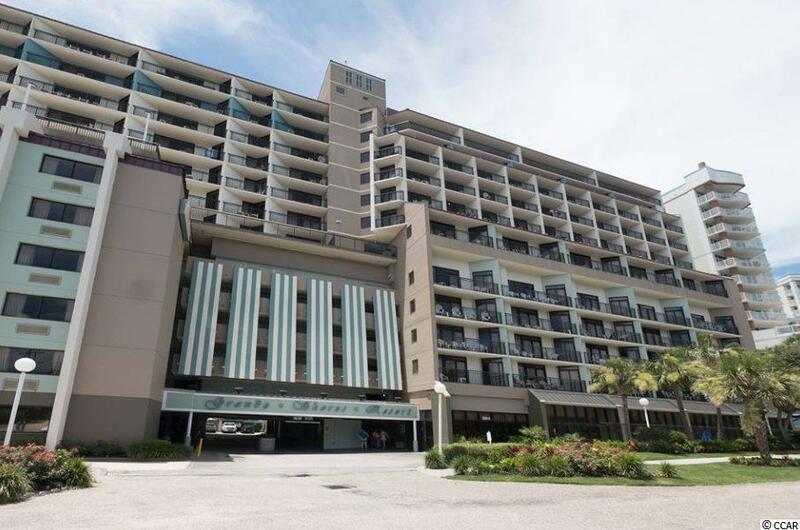 Presenting a rare opportunity to purchase a 1 br, 1 bath DIRECT OCEAN FRONT unit in the Grande Shores Resort. 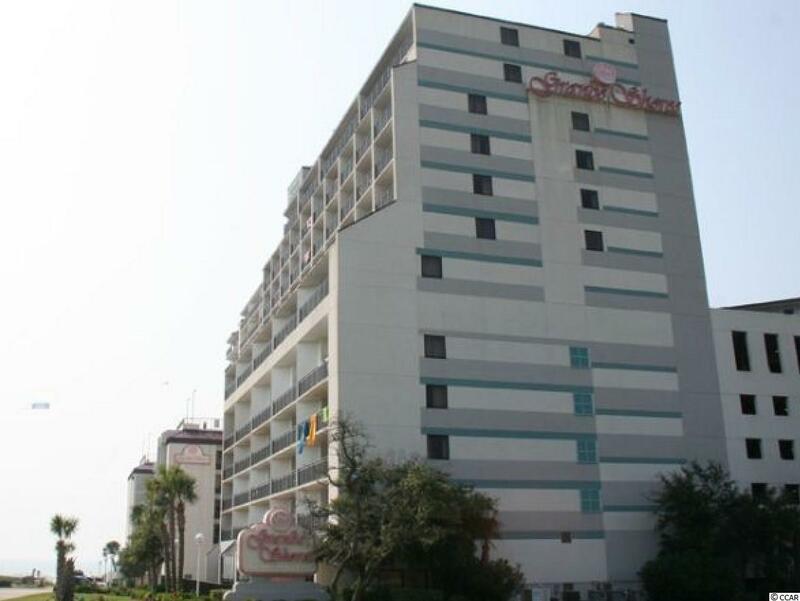 The Grande Shores Resort is located in the Golden Mile section of Myrtle Beach. The WOW factor hits you as soon as you walk into the family room with the majestic view of the Atlantic Ocean. This piece of paradise has carpet and tile flooring, white on white appliances, built-in microwave, new kitchen back splash, pantry, dining area with chair railing, Murphy bed in family room, two queens sized beds in the bedroom, new sofa sleeper, and a sliding glass door that opens up to the balcony over looking the waves of the Atlantic Ocean. 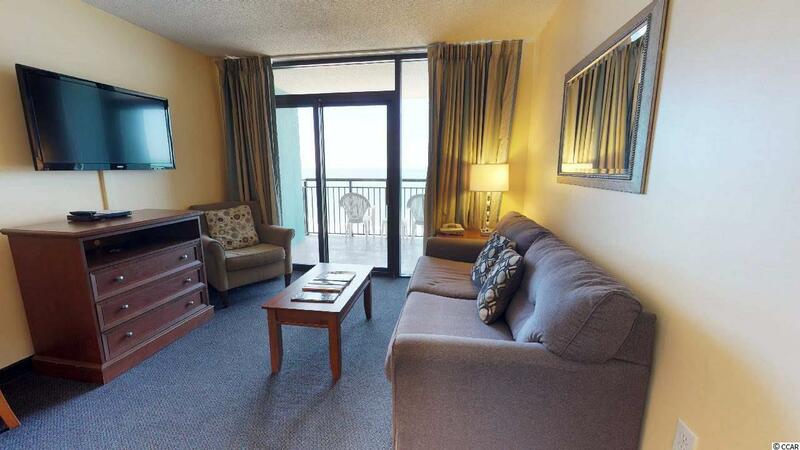 With sleeping accommodations for up to 8 there is also great rental potential. The distinctive Grande Shores Resort has 1st class amenities including 7th floor pool deck with a lazy river 4 hot tubs and breath-taking views of the Atlantic Ocean, additional wonderful lazy river, indoor pool, beach side pool, 5 hot tubs, poolside bar and grill, fitness room, and a restaurant and lounge. 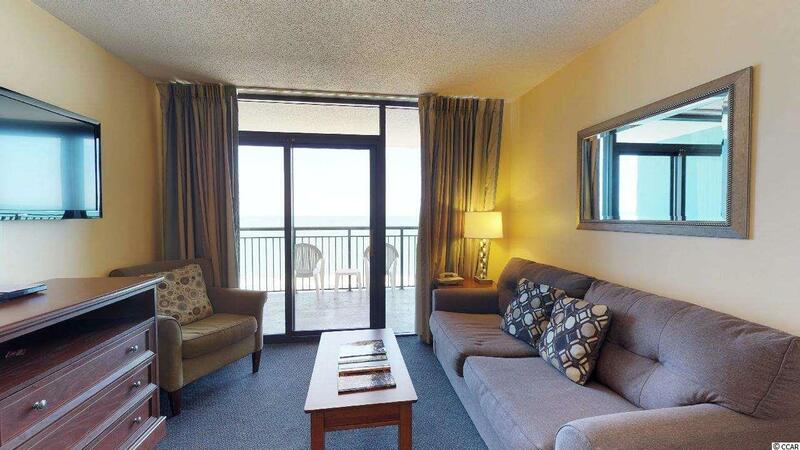 This unique condo provides you close proximity to all the attractions and amenities of Myrtle Beach, with fine dining, wonderful world-class entertainment, fishing piers, and exciting shopping experiences on the Grand Strand. Just a short drive to medical centers, doctors offices, pharmacies, banks, post offices, and grocery stores. Check out our state of the art 4-D Virtual Tour.